Housing Bank Algeria, a subsidiary of Jordan-based Housing Bank for Trade and Finance (HBTF), is modernising its front-to-back office technology with Infosys Finacle. 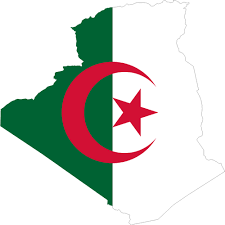 On the way out is the Amplitude core system, in use by Housing Bank Algeria for over a decade, Banking Technology understands. The solution, formerly known as Delta-Bank, is supplied by French banking tech vendor Sopra Banking Software. Finacle will support core operations, trade finance, internet banking, analytics and Islamic banking operations at Housing Bank Algeria. The contract was signed in 2015, it is understood. It should be noted that the bank’s parent, HBTF, is already a user of Finacle in Jordan. The group also has operations in Bahrain and Palestine, where it uses the ICS Banks system from another banking tech vendor, ICS Financial Systems (ICSFS), Banking Technology understands. Houcine Hannachi, GM of Housing Bank Algeria, hopes the Finacle solutions will help the bank enhance customer experience and “above all inspire us to innovate”. The bank offers universal banking services and has seven domestic branches. The Finacle business now resides within Edgeverve, a “product subsidiary” of Infosys. Edgeverve houses various software solutions acquired and/or developed by Infosys over the years across multiple industries (banking and finance, insurance, retail, manufacturing, telecoms, life sciences etc). Following a gap in leadership since the departure of CEO Michael Reh in early 2016, Edgeverve has now found a new chief executive: Pervinder Johar. 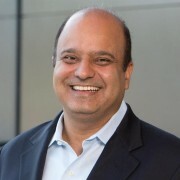 Johar has moved from Steelwedge, a US-based planning technology company, where he served as president and CEO. Steelwedge has just merged with e2open, creating the largest purely cloud-based supply chain software company in the world. The Steelwedge brand will be gradually phased out. This is the second core banking tech deal for Finacle in Myanmar. Orabank, a retail, SME and corporate banking group based out of Togo, has completed the implementation the Sopra Banking Amplitude core system, supplied by Sopra Banking Software. The new, standardised solution has been rolled out across 12 countries in West and Central Africa.